Davutoglu (pronounced dah-woot-OH-loo) has many stories like this, involving Iraq, Syria, Israel, Lebanon and Kyrgyzstan — and most of them appear to be true. (A State Department official confirmed the outlines of the Balkan narrative.) He is an extraordinary figure: brilliant, indefatigable, self-aggrandizing, always the hero of his own narratives. In the recent batch of State Department cables disclosed by WikiLeaks, one scholar was quoted as anointing the foreign minister “Turkey’s Kissinger,” while in 2004 a secondhand source was quoted as calling him “exceptionally dangerous.” But his abilities, and his worldview, matter because of the country whose diplomacy he drives: an Islamic democracy, a developing nation with a booming economy, a member of NATO with one foot in Europe and the other in Asia. Turkey’s prime minister, Recep Tayyip Erdogan, is a canny, forward-thinking populist who has drastically altered Turkish politics. Erdogan and Davutoglu share a grand vision: a renascent Turkey, expanding to fill a bygone Ottoman imperial space. In a world that the U.S. no longer dominates as it once did, President Barack Obama has sought to forge strong relations with rising powers like India and Brazil. Turkey, however, is the one rising power that is located in the danger zone of the Middle East; it’s no coincidence that Obama chose to include Turkey in his first overseas trip and spoke glowingly of the “model partnership” between the two countries. This fits perfectly with Turkey’s ambition to be a global as well as a regional player. And yet, despite all the mutual interests, and all of Davutoglu’s energy and innovation, something has gone very wrong over the last year. The Turks, led by Davutoglu, have embarked on diplomatic ventures with Israel and Iran, America’s foremost ally and its greatest adversary in the region, that have left officials and political leaders in Washington fuming. Obama administration officials are no longer sure whose side Turkey is on. Davutoglu views the idea of “taking sides” as a Cold War relic. “We are not turning our face to East or West,” he told me. But it is almost impossible to have zero problems with neighbors if you live in Turkey’s neighborhood. Istanbul is full of elegant and cosmopolitan intellectuals, few of whom had heard of Ahmet Davutoglu when he was named foreign-policy adviser to the prime minister in 2002. “Outside of Islamic circles,” says Cengiz Candar, a columnist for the daily Radikal, “he was not much known at all.” The victory of the moderate Islamist AK party in the 2002 parliamentary elections was a seismic event in Turkey, culturally as well as politically. Turkey had been an aggressively secular republic since its establishment in 1923; Turkey’s Westernized intellectuals, living in the coastal cities, especially Istanbul, looked upon the Islamists as bumpkins from the Anatolian hinterland. “These people came out of nowhere,” as Candar puts it. Davutoglu, who is 51, hails from Konya, on the Anatolian plateau; though his English is excellent, he often drops definite articles, a sign that he came to the language relatively late. He has a slight mustache from under which a gentle and bemused smile usually pokes out. He is religiously observant; his wife, a doctor, wears a head scarf. Yet he has become surprisingly popular even among Turkey’s secular elite. “Deep in the Turkish psyche,” Candar says, “there is a feeling of pride and grandeur.” Turkey is not just another country, after all, but the heir of empires, classical as well as Ottoman, and the first secular republic in the Islamic world. Both in his intellectual work, which argues for the extraordinary status Turkey enjoys by virtue of its history and geographical position, and in his role as foreign minister, Davutoglu is seen as a champion of Turkish greatness. He was an academic before he was a diplomat. His book “Strategic Depth,” published in Turkish in 2001, is regarded as the seminal application of international-relations theory to Turkey, though it is also a work of civilizational history and philosophy. (Such is Davutoglu’s intellectual ambition that he planned to follow up with “Philosophical Depth,” “Cultural Depth” and “Historical Depth.” He hasn’t yet gotten around to the others.) The book has gone through 41 printings in Turkish and has been translated into Greek, Albanian and now Arabic. It is 600 pages long, very dense and almost certainly more known than read. One of Davutoglu’s aides describes the book as “mesmerizing.” (Henri Barkey, a Turkey scholar at Lehigh University, pronounces the work “mumbo jumbo,” adding that Davutoglu “thinks of himself as God.”) “Strategic Depth” weaves elaborate connections between Turkey’s past and present, and among its relations in the Middle East, the Caucasus, the Balkans and elsewhere. The book was read as a call for Turkey to seize its destiny. And in many ways, Turkey has. It is one of the great success stories of the world’s emerging powers. Shrugging off the effects of the global recession, the Turkish economy last year grew by more than 8 percent, and Turkey has become the world’s 17th-largest economy. Turkey is the “soft power” giant of the Middle East, exporting pop culture and serious ideas and attracting visitors, including one and a half million Iranians a year, to gape at the Turkish miracle. Paul Salem, a Lebanon-based Middle East scholar with the Carnegie Endowment, recently suggested, “It might be Turkey’s century, because it’s the only country in the Middle East actually pointing toward the future.” You increasingly hear the view that power in the Middle East is shifting away from Arab states and toward the two non-Arab powers, Turkey and Iran. Indeed, in “Reset: Iran, Turkey and America’s Future,” Stephen Kinzer, a former New York Times reporter, describes Turkey, Iran and the U.S. as “the tantalizing ‘power triangle’ of the 21st century,” destined to replace the Cold War triangle of the U.S., Israel and Saudi Arabia. Davutoglu has climbed aboard the Turkish rocket. Turkey’s success raises his status; his achievements do the same for his country. Foreign Policy magazine ranked him No. 7 in its recent list of “100 Global Thinkers,” writing that under his leadership, “Turkey has assumed an international role not matched since a sultan sat in Istanbul’s Topkapi Palace.” Davutoglu has maintained close relations with both Erdogan and PresidentAbdullah Gul — one of the few senior figures to do so. He has filled the upper ranks of the foreign-affairs ministry with worldly, pragmatic, thoughtful diplomats who share his nationalist vision. They have done an extraordinarily deft job of balancing Turkey’s regional and global ambitions, of advancing its interests without setting off alarm bells in other capitals. In Davutoglu’s own endlessly unwinding narratives, he is always speaking like a Baghdadi and smoking like a Bosnian and untying all Gordian knots. Every once in a while during our conversations, Davutoglu would raise a finger and say, “This you can quote.” This meant that he was about to say something really dazzling. On the other hand, he is pretty dazzling, leaping nimbly from Mesopotamia to Alexander the Great to the Ottoman viziers to today’s consumerism, drawing unlikely parallels and surprising lessons. To be part of the global “we” — this was the very definition of Erdogan’s, and Davutoglu’s, ambitions. This is why the Turks received the European rebuff as such a deep insult. And it is true, as Gates suggested, that in the aftermath, Turkey sought to raise its status in the immediate neighborhood. One of Davutoglu’s greatest diplomatic achievements was the creation of a visa-free zone linking Turkey, Jordan, Lebanon and Syria, thus reconstituting part of the old Ottoman space. The four countries have agreed to move toward free trade, as well as free passage, among themselves. As part of the zero-problems policy, Turkey moved to resolve longstanding tensions with Cyprus and Armenia and, more successfully, with Greece and Syria. Turkey’s decades of suppression of Kurdish demands for autonomy put it at odds with the new government of Iraqi Kurdistan, which sheltered Kurdish resistance fighters. But the Erdo­gan government reached out to Kurdistan, America’s strongest ally in the region. Relations with the Bush administration had been rocky since 2003, when Turkey’s Parliament voted against permitting U.S. forces to enter Iraq through southeastern Turkey. But by now the U.S. was eager to use Turkey as a force for regional stability. The rapprochement with Kurdistan thus smoothed relations with Washington and made Turkey a major player in Iraqi affairs. Turkish firms gained a dominant position not only in Kurdistan but also, increasingly, throughout Iraq. And Iraqi Kurdish leaders had cracked down on the rebels. It was a diplomatic trifecta. But Davutoglu’s vision extended far beyond securing the neighborhood for Turkish commerce. One of his pet theories is that the United States needs Turkey as a sensitive instrument in remote places. “The United States,” he says, in his declamatory way, “is the only global power in the history of humanity which emerged far away from the mainland of humanity,” which Davutoglu calls Afro-Eurasia. The United States has the advantage of security and the disadvantage of “discontinuity,” in regard to geography as well as history, because America has no deep historic relationship to the Middle East or Asia. In Davutoglu’s terms, the U.S. has no strategic depth; Turkey has much. “A global power like this, a regional power like that have an excellent partnership,” Davutoglu concludes with a flourish. Turkey has used its web of relations, especially in the Sunni world, to advance American interests in Iraq, Pakistan and Afghanistan, where Turkey recently agreed to renew its NATO mandate as the commander of the troop contingent in Kabul. But it was all what might have been, for only a few days after the meeting, Israel launched its Cast Lead invasion of Gaza, inflaming the Arab world and humiliating and infuriating Erdogan. The talks collapsed. The Israeli official says, “We told the Turks that we will have to respond” to the hail of missiles coming from Gaza; Israel had not deceived the Turks, because Israel’s cabinet authorized the invasion days after the Olmert-Erdogan dinner. That’s not how Turkey saw the sequence of events. It was, Davutoglu says solemnly, “an insult to Turkey.” Certainly the Turkish public felt it as one, and Erdogan, a shrewd judge of public opinion, understood that very well. Turkey is a democracy, after all; and the public reaction to Gaza, on top of the rebuff from the European Union — and perhaps also the inherent logic of the “zero problems” policy — sent the country in a new direction. Turkey’s interests in the Balkans, in Afghanistan, Pakistan and Iraq, and for that matter in Israel, coincided with those of the United States and the West. But its run of luck ended in Iran. In September 2009, the Iranians, under pressure from the West to show that they were not seeking to build a nuclear weapon, offered to send 1,200 kilograms of uranium abroad in exchange for an equal amount to be enriched sufficiently for civilian use. 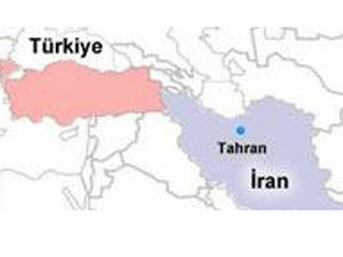 Iran didn’t trust any Western country to hold its uranium; but it might trust Turkey. Davutoglu sprang into action, flying back and forth to Tehran to work out the details — over which the Iranians, typically, bickered and stalled. At President Obama’s nuclear summit meeting last April, Erdogan and the president of Brazil, Luis Inácio Lula da Silva, proposed to Obama that they work jointly to persuade Iran to surrender the uranium — a striking example of the rising confidence of the emerging powers. Administration officials made it very clear that they feared Iran would try to hoodwink Turkey and Brazil. Davutoglu nonetheless resumed his manic routine — State Department officials call him the Energizer Bunny — flying back and forth to Tehran well into May, pushing the Iranians to make concessions. In his seventh and final session, he worked at it for 18 hours before reaching a deal. Davutoglu was so excited that he called Turkish reporters from the plane to invite them to a briefing upon his arrival. But by the time the journalists returned to their offices to write the story, they got word that the United States had rejected the deal. The Turks had announced their diplomatic coup at precisely the moment the Obama administration finally induced Russia and China to vote for tough sanctions on Iran in the Security Council. Davutoglu says he never took a step without informing the Americans, but American officials said that the terms of the deal took them by surprise. The Turks mostly hid their hurt feelings. But in early June, the rift with the U.S. played out in public when Turkey and Brazil voted against the sanctions resolution. Turkish officials say the last thing they wanted was to defy the U.S. on a matter of American national security, but President Mahmoud Ahmadinejad of Iran said he would consider the “swap deal” terminated unless Turkey and Brazil voted against the resolution. They were, they insist, voting for continued diplomacy, not for Iran or against the United States and the West. Maybe Turkey was simply protecting its regional interests, which now include not only preserving good relations with Iran but also enhancing its credibility in the Middle East — even at the expense of its standing in the West. Maybe, for all Davutoglu’s protestations, Ankara doesn’t view the world the way Washington does or London does. In a meeting earlier this year at the Council on Foreign Relations, Henri Barkey observed that when you talk to Erdogan or Davutoglu about Iran, “the response is almost as if you pressed a button: the problem is not Iran; the problem is Israel; Israel has weapons; Iran doesn’t have weapons.” Or maybe the problem is that you can’t have zero problems with everybody. Turkey seemed to have made a choice among its conflicting ambitions. Steven Cook, a Middle East scholar at the Council on Foreign Relations, recently wrote, “Erdogan and his party believe they benefit domestically from the position Turkey has staked out in the Middle East,” and thus “the demands of domestic Turkish politics now trump the need to maintain good relations with the United States.” Turkey may be turning in a new direction, in other words, not so much because it has been rejected by the West as because it is being so ardently embraced by the East. Tempers have cooled in recent months. U.S. officials have tried to encourage a rapprochement between Turkey and Israel. Last June, Israel’s trade minister, Benyamin Ben-Eliezer, invited Davutoglu to speak with him quietly in Brussels. But the contents of the conversation were leaked almost immediately in Israel, presumably by hardliners opposed to any easing of tensions. Relations with Washington remain fraught. “There’s so much we want to do together,” as the official cited above puts it, “but it’s harder for us to do that if the American and Congressional perspective on Turkey is a negative one” — which right now, he added, it is. Perhaps the setback is just a blip, a brief reversal in the upward path of one of the world’s rising powers. On the flight home from Brussels, where he conferred privately with Robert Gates and Secretary of State Hillary Clinton and met with his European counterparts, Davutoglu was in an ebullient mood. He feels the wind of history filling his sails. Turkey, the crossroads of civilizations, the land where East and West, North and South, converge, is pointing the way to the world’s future. “Turkey is the litmus test of globalization,” he told me. “Success for Turkey will mean the success of globalization.” The world, as Davutoglu likes to say, expects great things from Turkey. İSRAİL, Türkiye’ye ait Mavi Marmara gemisine uluslararası sularda saldırdı ve Türkiye vatandaşlarının kanını döktü. Türkiye haklı olarak tazminat ödenmesini ve özür dilenmesini talep etti. İsrail her iki isteğe de olumlu cevap vermekten kaçınıp durdu. En sonra İsrail başbakanı “Ne tazminat, ne de özür!..” diyerek kestirip attı. Bu inadın sebeplerini araştırmamız gerekir. Yahudiler kendilerini Allah’ın seçilmiş ve üstün kulları olarak görür, Yahudi olmayanları aşağılar. Bu onların inançlarıdır ve bunun tartışılmasından bir fayda çıkmaz. Onların bu özelliğini iyi bilmemiz ve bir realite olarak hep gözönünde bulundurmamız gerekir. İsrail konusunu incelerken ilk sorumuz şu olmalıdır? 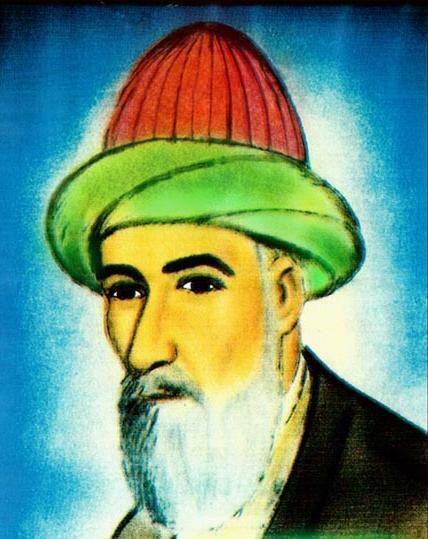 Bütün Yahudiler dindar Musevî midir? Değildir. Şu anda İsrail nüfusunun yüzde 10’u veya 15’i dindar ortodoks Musevîdir. En az yüzde 85’i az veya çok, hattâ tamamen dinden kopmuştur. İsrail’de hayli ateist Yahudi de vardır. Dindar Yahudiler de homojen bir yapıya sahip değildir. Çoğunluğu Siyonisttir ama Siyonizme karşı olanlar, hattâ İsrail devletini en büyük günah ve küfür olarak görenler bile vardır. İsrail’de Sefarad Yahudiler çoğunluğu oluştururlar ama onlar ikinci sınıf Yahudidir, üstünlük Eşkenazlardadır. Bugün Ortadoğu’da kalıcı, âdil, gerçek bir barış yapılmasının önündeki en büyük engel fundamentalist Yahudilerdir. Onlar Nuh der, peygamber demezler. 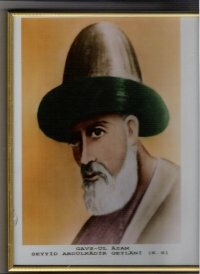 Onlara göre, Yahudi olmayan insanlar Yahudilere hizmet için yaratılmıştır. Yahudiler, Allah’ın has kullarıdır, gayr-i Yahudiler (goim) ikinci sınıf kullardır. Bugünkü şekliyle Musevîlik ırkçı bir dindir. Maalesef üçüncü dünya savaşı Ortodoks Siyonist Yahudiler yüzünden çıkacak, yeryüzü harap olup yangın yerine dönecek, büyük sayıda insan ölecek, insanlık taş devrine geri dönecektir. Yahudilerin, Ortadoğu’nun ve dünyanın selameti Naturei Karta hahamlarının görüşlerini kabul etmekle mümkün olur. Naturei Karta hahamları ne diyor? 1. Siyonizm ideolojisi ve İsrail devleti gerçek Tevrat’a, gerçek Musevîliğe aykırıdır ve küfürdür. 2. İsrail devletinin, Beklenen Mesih’in gelmesinden önce kurulmuş olması çok büyük bir günahtır. 3. İmanlı bir Musevi İsrail devletine, onun kanunlarına itaat etmemeli, onun ordusunda askerlik yapmamalı, ona vergi ödememelidir. 5. İsrail devleti kaldırılmalı, orada Filistinlilerin izin verdiği kadar Yahudi bırakılmalıdır. 6. Böyle yapılmadığı takdirde Yahudilerin başına büyük felaketler gelecektir. Keşke Siyonist Yahudiler, Yahudi olmadıkları halde Siyonizme hizmet eden gayr-i Yahudiler, İsrail yöneticileri Naturei Karta hahamlarının uyarılarına kulak verseler de, hem Yahudileri hem de insanlığı büyük bir felaketten kurtarsalar. In 1981, Israel destroyed Iraq’s nuclear reactor at Osirak, declaring it could not live with the chance the country would get a nuclear weapons capability. In 2007, it wiped out a North Korean-built reactor in Syria. And the next year, the Israelis secretly asked the Bush administration for the equipment and overflight rights they might need some day to strike Iran’s much better-hidden, better-defended nuclear sites. They were turned down, but the request added urgency to the question: Would Israel take the risk of a strike? And if so, what would follow? Now that parlor game question has turned into more formal war games simulations. The government’s own simulations are classified, but the Saban Center for Middle East Policy at the Brookings Institution created its own in December. The results were provocative enough that a summary of them has circulated among top American government and military officials and in many foreign capitals. Already-tense relations between the White House and Israel worsen rapidly, but the lack of advance notice allows Washington to say truthfully that it had not condoned the attack. In a series of angry exchanges, the U.S. demands that Israel cease its attacks, though some in Washington view the moment as an opportunity to further weaken the Iranian government, particularly the Islamic Revolutionary Guard Corps. Telling Israel it has made a mess, Washington essentially instructs the country to sit in a corner while the United States tries to clean things up. Even while calling for restraint on all sides, the U.S. deploys more Patriot antimissile batteries and Aegis cruisers around the region, as a warning to Iran not to retaliate. Even so, some White House advisers warn against being sucked into the conflict, believing that Israel’s real strategy is to lure America into finishing the job with additional attacks on the damaged Iranian facilities. Despite warnings, Iran fires missiles at Israel, including its nuclear weapons complex at Dimona, but damage and casualties are minimal. Meanwhile, two of Iran’s proxies, Hezbollah and Hamas, launch attacks in Israel and fire rockets into the country. Believing it already has achieved its main goal of setting back the nuclear program by years, Israel barely responds. Iran, while wounded, sees long-term opportunities to unify its people – and to roll over its opposition parties – on nationalistic grounds. Its strategy is to mount low-level attacks on Israel while portraying the United States as a paper tiger – unable to control its ally and unwilling to respond to Iran. Convinced that the Saudis had colluded with the Israelis, and emboldened by the measured initial American position, Iran fires missiles at the Saudi oil export processing center at Abqaiq, and tries to incite Shiite Muslims in eastern Saudi Arabia to attack the Saudi regime. Iran also conducts terror attacks against European targets, in hopes that governments there will turn on Israel and the United States. After a meeting of its divided leadership, Iran decides against directly attacking any American targets – to avoid an all-out American response. Though Iran’s retaliation against Israel causes only modest damage, critics in the Israeli media say the country’s leaders, by failing to respond to every attack, have weakened the credibility of the nation’s deterrence. Hezbollah fires up to 100 rockets a day into northern Israel, with some aimed at Haifa and Tel Aviv. The Israeli economy comes to a virtual halt, and Israeli officials, urging American intervention, complain that one-third of the country’s population is living in shelters. Hundreds of thousands flee Haifa and Tel Aviv. Israel finally wins American acquiescence to retaliate against Hezbollah. It orders a 48-hour campaign by air and special forces against Lebanon and begins to prepare a much larger air and ground operation. 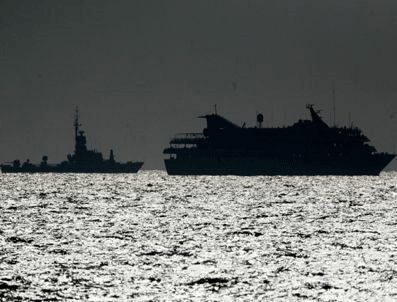 Knowing that its ultimate weapon is its ability to send oil prices sky high, Iran decides to attack Dhahran, Saudi Arabia, an oil industry center, with conventional missiles and begins mining the Strait of Hormuz. A Panamanian-registered, Americanowned tanker and an American minesweeper are severely damaged. The price of oil spikes, though temporarily. Unable to sit on the sidelines while oil supplies and American forces are threatened, Washington begins a massive military reinforcement of the Gulf region. The game ends eight days after the initial Israeli strike. 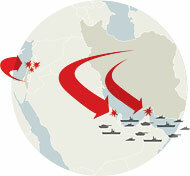 But it is clear the United States was leaning toward destroying all Iranian air, ground and sea targets in and around the Strait of Hormuz, and that Iran’s forces were about to suffer a significant defeat. Debate breaks out over how much of Iran’s nuclear program was truly crippled, and whether the country had secret backup facilities that could be running in just a year or two. 1. By attacking without Washington’s advance knowledge, Israel had the benefits of surprise and momentum – not only over the Iranians, but over its American allies – and for the first day or two, ran circles around White House crisis managers. 2. 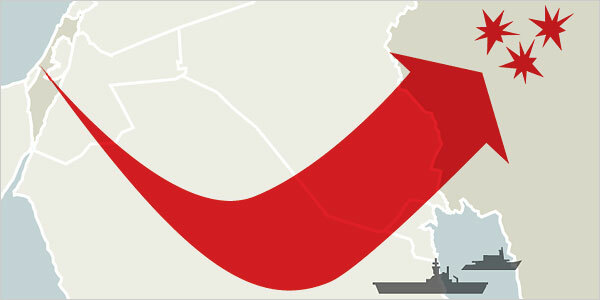 The battle quickly sucked in the whole region – and Washington. Arab leaders who might have quietly applauded an attack against Iran had to worry about the reaction in their streets. 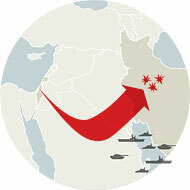 The war shifted to defending Saudi oil facilities, and Iran’s use of proxies meant that other regional players quickly became involved. 3. You can bomb facilities, but you can’t bomb knowledge. Iran had not only scattered its facilities, but had also scattered its scientific and engineering leadership, in hopes of rebuilding after an attack. 4. No one won, and the United States and Israel measured success differently. In Washington, officials believed setting the Iranian program back only a few years was not worth the huge cost. In Israel, even a few years delay seemed worth the cost, and the Israelis argued that it could further undercut a fragile regime and perhaps speed its demise. Most of the Americans thought that was a pipe dream. —D.E.S. Illustrations by Alicia Cheng and Sarah Gephart, Mgmt. Design. SİYONİSTLER, Haçlılar, Emperyalistler, global kapitalizm sömürgeciliğinin derin planlarında Türkiye ile İran arasında savaş çıkartılması vardır. Türkiye ile İran Ortadoğu’da rakiptir, Sünnîlik ve Şiîlik uyuşmaz ve bağdaşmaz ama bu savaş kesinlikle çıkmamalıdır. Türkiye ile İran tezelden çok sağlam bir saldırmazlık paktı imzalamalıdır. Siyonistler ve emperyalistler İran ile Irak’ı sekiz sene çarpıştırdılar da ne oldu? Milyonlarca Müslüman öldü, yaralandı, sakat kaldı… İki ülke de harap oldu. Beşyüz milyar dolar israf edildi. Böyle bir felâketin Türkiye İran savaşında tekrar yaşanmasından Allah bizi korusun. Bütün ihtilaflara, bütün rekabetlere, bütün anlaşmazlıklara rağmen iki İslâm ülkesi savaşmamalıdır. Türkiye ile İran’ın savaşması İslâm’ın, her iki ülke halkının ve devletinin, insanlığın, dünyanın aleyhinde olur. Sünnilik ve Şiîlik birleşmez ve uyuşmaz. İhtilâflı meseleler dondurulmalı ve tartışılmamalıdır. Bu konuda Sünnî ileri gelenleri ile Şiî ileri gelenleri (taqiyyesiz) bir protokol hazırlayıp imzalamalıdır. Bizim müşterek düşmanlarımız (ırkçı ve agresif) Siyonizm, agresif Haçlılık ve Evangelizm, emperyalizm, global kapitalizmdir. Bunları sevindirmeyelim. Bunlara fırsat vermeyelim. Ortadoğu’nun iki büyük devleti savaşırsa BOP planlarına göre ikisi de bölünecek, ortaya en az yarım düzine fantoş devlet çıkacaktır. İslâm düşmanı emperyalistlerin istediği de bu değil mi? The average container ship can carry about 4,500 containers. This blog was viewed about 21,000 times in 2010. If each view were a shipping container, your blog would have filled about 5 fully loaded ships. In 2010, there were 38 new posts, growing the total archive of this blog to 388 posts. There were 71 pictures uploaded, taking up a total of 84mb. That’s about 1 pictures per week. Dinsizin, ateistin kalitelisi olur mu?.. Dinsiz ve ateist, Müslümanın nazarında kötüdür ama onların da kalitelisi olabilir. Bu memlekette dinsiz ve ateist var mı? Elbette var. Miktarları ne kadar? Sayıları büyük değil ama bazıları çok okumuş, hayli kültürlü ve ağırlıkları var. Dinsiz ve ateist (negatif de olsa) kaliteli olursa ne olacak?.. Kaliteli dinsiz veya ateistte adalet ve insaf duygusuz olacağından, Müslüman çoğunluğun temel insan haklarına karşı çıkmaz, aksine onların haklarından ve hürriyetlerinden yana çıkar. Kaliteli dinsiz ve ateist üzerinde yaşadığı vatanın, içinde yaşadığı halkın dirliği, selameti, huzuru, barış içinde yaşaması, uzlaşı içinde bulunması için çalışır; bu saydığım değerleri berhava etmez. İngiltere’de, Norveç’te, İsveç’te kaliteli dinsizler ve ateistler var. Onların, insanların en temel hak ve hürriyetinin din, inanç, inandığı gibi yaşamak hürriyeti olduğunu biliyor, bunu kabul ediyor ve bu hak ve hürriyete aykırı tutum sergilemiyor. Dikkat buyurunuz, “Kaliteli dinsiz ve ateist” dedim, hepsini kasd etmedim. Kalitesiz olanlar elbette adalete, insafa, sosyal barış ve mutabakata aykırı fikirler ileri sürebilir, işler yapabilir. Türkiye’nin adalete kavuşması, selamet bulması, felaha erişmesi için bütün kesimlerinin düzelmesi, vasıflı olması, medenî olması gerekir. Tabiî ki öncelikle çoğunluğu oluşturan Müslümanlar vasıflı olacaktır. Sünnîler kaliteli, Alevîler kaliteli. İki kesim can ciğer… Farklılıklara rağmen gül gibi geçinip gidiyorlar. Kalitesizler, aşırılar, mutassıplar (bağnazlar) azınlıktalar, marjinaller ve ağırlıkları yok. Böyle bir Türkiye’de bugün olduğu gibi fitne fesat olur mu? Elbette olmaz. Ordunun üst/kurmay tabakası kaliteli olursa hiç darbe planı ve teşebbüsü yapılabilir mi? Bu ülkenin insanları nasıl kaliteli/vasıflı olabilir? Bu iş önce eğitimle olur. Sonra, halk üzerinde dehşetli etkisi olan medya ile olur. Âile terbiyesi ile olur. Müslümanları en fazla hangi kurum kaliteli ve olgun hale getirir?Tarikatlar?.. Hangi tarikatlar?.. Gerçek ve doğru tarikatlar… Tarikatlar gerçek olmayanı, bozuğu var mıdır?.. Elbette vardır. Bugün Türkiye’de kanunen tarikatlar yasak mıdır? Evet yasaktır ama fiiliyatta yasak değildir, göz yumulmaktadır. Masonluk nasıl serbestse, İslam tarikatları da serbest bırakılmalıdır. Serbest dedim, başıboş demedim. Tarikatların zabt u rabt altına alınması şarttır. Tarikat şeyhlerinin hepsinin geçerli icazetleri ve ehliyetleri olmalıdır. Tarikatlar siyasete karışmamalı, siyasetin üzerinde olmalıdır. Tarikatlar Şeriatın sınırları için İslamî ve insanî faaliyet yapmalıdır. Tarikat dedim ya, birtakım Vehhabîler yine öfkelenip saldıracaklardır. Vehhabîler tasavvuf ve tarikata şirk ve küfür damgasını vururlar. 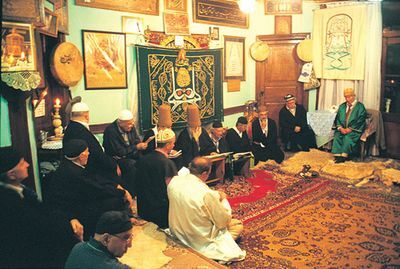 Tarikatlar, tekkeler, zâviyeler, toplu zikir bir Türkiye’de, bir de Suudî Arabistan’da yasaktır. Türkiye coğrafyasına İslam tarikatla gelmiştir… Tarikatla yayılmıştır… Tarikatı yasaklarsanız İslamî gelişme durur ve bugünkü gibi bin türlü kötülük, fitne fesat çıkar. Tekrar ediyorum: Rasgele tarikat ve tasavvuf değil, Kur’anın zahirine, Sünnete, fıkha, Şeriata uygun ve mutabık tarikat ve tasavvuf. Bugün Türkiye cadı kazanına dönmüştür. Toplumun bir kısmı sanki çıldırmıştır. İslamî kesimde bin türlü teseyyüb (kötülük) ve kokuşma müşahede edilmektedir. Bunlar nasıl izale edilecektir? Bunlar nasıl ıslah edilecektir?.. Düzelme ve ıslah ancak tasavvuf ile olur. Gerçek tasavvuf, doğru tasavvuf ile… Maalesef o da yasak.